For more information please see the workshop page under courses here. The aim of these workshops is to enhance the capabilities of practicing engineers when applying soil mechanics, analysing data and solving problems involving unsaturated soils. 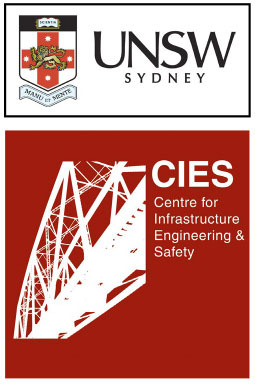 The workshops will be delivered by experts on unsaturated soils from UNSW’s Centre for Infrastructure Engineering and Safety. Unsaturated soils are widely encountered and need to be dealt with in many engineering problems, for example foundations, fills, embankments, pavements and slopes. In many cases true predictions of performance and true assessments of safety cannot be made without use of unsaturated soil mechanics. However, the use of unsaturated soil mechanics in practice is not routine. Many design and analysis techniques used are only applicable when soils are dry or fully saturated. Apply unsaturated soil mechanics in a range of problems, and take guidance from techniques used in case studies. The workshops will be designed for engineers and other professionals who deal with unsaturated soils. It is envisaged that each participant will have some industry experience and, as a minimum, a knowledge of soil mechanics and geotechnical engineering to Bachelor of Civil Engineering standard. The workshops will involve a number of formal lectures, tutorials and problem solving classes and case study presentations. The case studies will be on a variety of topics of interest to the civil and mining engineering sectors, e.g. back-analyses of failed slopes, CPTs conducted in unsaturated soils and tailings, and hang-up of ‘sticky’ materials in ore passes. The workshop will be two days long and will cost $1600 (incl. GST) for AGS members, $1800 (incl. GST) for non-AGS members and $500 (incl. GST) for fulltime students (although student places are limited to 10). An extensive set of notes and other resources will be provided. Lunch and snacks will also be provided. Fees will not be refundable if a participant is unable to attend. However, a nominated person may attend in your place. If at any time the course is cancelled, fees will be refunded in full. 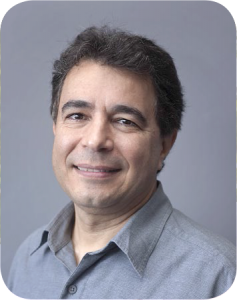 Nasser Khalili is a Professor at UNSW and is internationally recognised for his contributions to unsaturated soil mechanics and computational geo-mechanics. He is credited with the development of the first thermodynamically consistent framework for constitutive modelling of unsaturated porous media. Some of his seminal contributions to the field include: i) formulation of the first fully coupled flow and deformation model for unsaturated porous media including hydraulic and mechanical hystereses; ii) formulation of a bounding surface plasticity model for cyclic analysis of variably saturated soils, iii) formulation of a thermo-hydro-mechanical model for unsaturated porous media, iv) formulation of the first hypo-plasticity model for unsaturated media, and v) formulation of an equivalent skeletal stress for multi-phase multi-porous media. His work to the mechanics of multi phase multi porous media has attracted many awards and accolades. Similarly, his work on the mechanics of double porosity media is considered as a benchmark in numerical modelling of fractured porous media and is widely cited in the literature. He has worked in academic environment for 28 years, and as a consulting geotechnical engineer for four years. 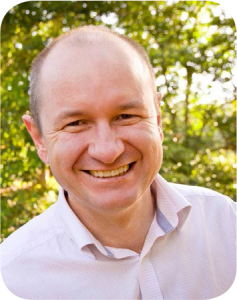 is an Associate Professor at UNSW and leads a number of research projects and themes focused on unsaturated soils, especially fundamental mechanics, analytical modelling, and experimentation related to soil structure interaction. He is Secretary of TC106, the Technical Committee on Unsaturated Soils within the International Society for Soil Mechanics and Geotechnical Engineering. In 2014 he received the International Innovation Award from TC106 for his research on the CPT and retaining walls in unsaturated soils. He has worked in academic environment for 17 years, producing more than 90 research papers, and as a consulting geotechnical engineer for three years. To register for the course, please fill out the Registration Form and return to Peter Robinson. *Proof of full-time enrolment to be provided with registration. Student registrations are limited to 10 with AGS Post-Grad Full-time student membership.